Marcus Anjewierden, CPA, CGMA, CIA – Using stories of fraud and interactive group surveys, Marcus will share the key attributes of trusted advisers, action steps to develop them, and why they matter to us as CFE’s. 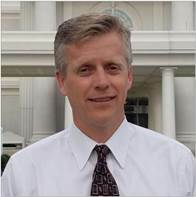 Marcus is the Audit Director for Deseret Management Corporation (DMC), which include: Deseret News, Deseret book, Deseret Digital Media, Beneficial Life Insurance Bonneville International Corporation. He is a CPA, CGMA and CIA. He holds a BS and MAcc from BYU. Work Experience includes: Deloitte Auditor, Bank Controller, CFO of startups, appointed finance official at Salt Lake County, Internal Auditor for the Church and DMC, and Real Estate Finance Manager in Physical Facilities. Currently enjoying serving as scoutmaster, has 5 smart and beautiful girls, one on a mission and one 16 year-old boy. His kids tell him he is full of classic dad jokes (you decide). He loves to travel with his wife and kids. He still plays basketball a few times a week (on a smaller old men’s court) and rides his bicycle to work often.